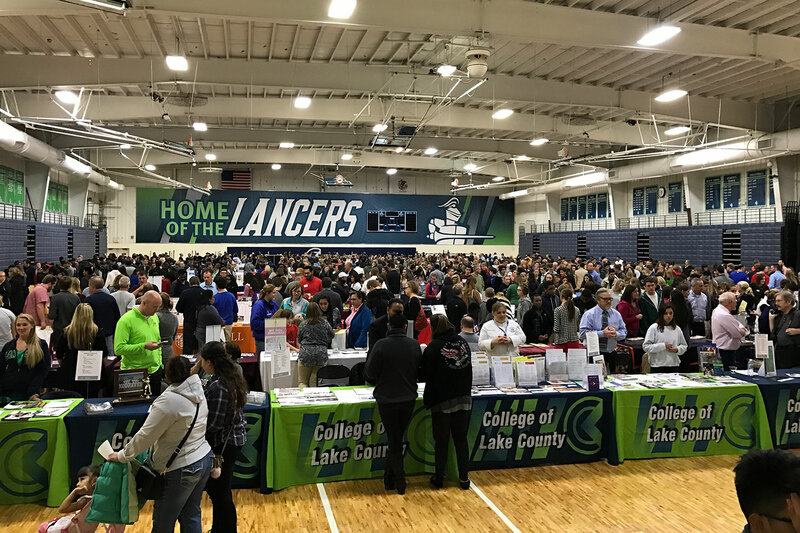 The College of Lake County holds both a fall and spring college fair on campus. Typically the spring fair is smaller than the fall, but that was not the case this week. The CLC Illinois Regional College Fair had over 800 students register with StriveScan for a barcode and more than 100 colleges and university scanning. The administration at the College of Lake County does a fantastic job getting every student who comes to the fair registered with a barcode for colleges to scan. This season, CLC posted four student workers at the front entrance to the gymnasium to distribute StriveScan handouts and help families get registered. These student workers are critical to the fair’s operation and success, and we thank them!